There are balloon satellites, so all satellites are balloon satellites. There are craters that formed by nuclear explosions, so all craters are formed by nuclear explosions. Fiber optic is used in long distance communications, so all long distance communication use fiber optic. There is a photo of the Earth that is a composite of multiple images, so all photos of the Earth are composites of multiple images. Mobile phones communicate with BTS, so all mobile phones communicate with BTS. There are obvious logic problems with those statements. 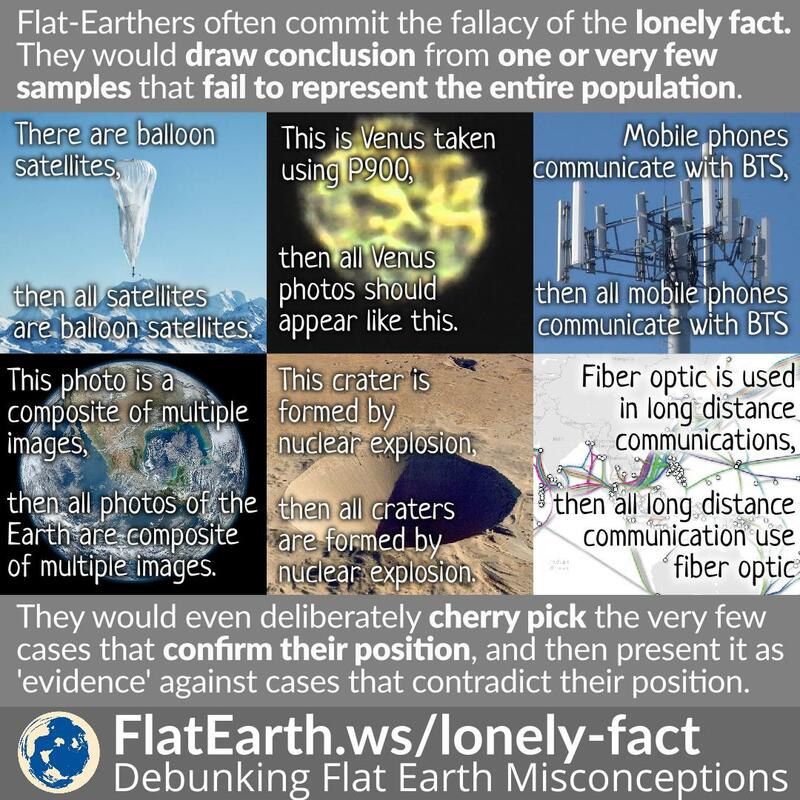 Just because there are balloon satellites, it doesn’t mean all satellites are balloon satellites, and that all non-balloon satellites don’t exist! They have to go a lot further than that if they want to disprove satellites.